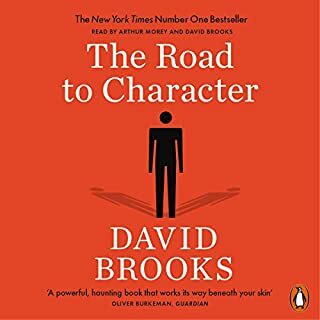 If there’s one thing that any generation needs it’s to build strong character in themselves and their children - this book focuses on the former and is told in a compelling way - to give examples of lives well lived but each involving a development of character often from fairly deplorable periods in those lives. 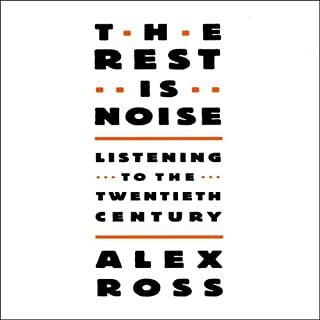 I found it fascinating, informative and instructive but not in a direct way but more in a way that prompts the reader or listener to discover for themselves. then character is discussed relating back to these people. Well written, well thought out, well done. 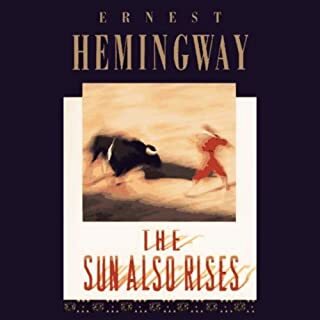 Reading about Hemingway’s striving for minimalistic writing made me think that William Hurt’s voice was the ideal match - he has a slow pace that matches the short, punchy sentences and dialogue. And he colours it all with accents and intonation. His grasp of Mike’s moods and those of the Count are impressive. Well done. Meet one of the most significant and notorious American writers of the 20th century. 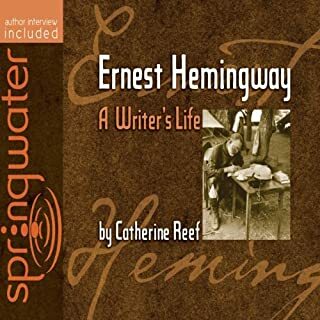 Ernest Hemingway is considered one of the greatest writers in modern history, and his novels and stories are read, studied, and imitated around the world. His concise prose style earned him both a Pulitzer and a Nobel Prize. His name conjures up vivid images: grand adventurer, soldier, war correspondent, big-game hunter, bullfight aficionado, and writer. 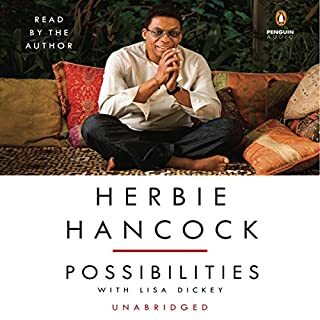 Would you consider the audio edition of Herbie Hancock: Possibilities to be better than the print version? Of course - Herbie narrates it and he is vey entertaining and enthusiastic, right down to the Miles Davis imitations. This is a semi-autobiographical narration by Herbie himself. I listened in half-hour lots in the car and I found it compelling - every 'session' had something interesting. Well done. If you could sum up Unfaithful Music and Disappearing Ink in three words, what would they be? What was one of the most memorable moments of Unfaithful Music and Disappearing Ink? The poetic jousting with Bob Dylan was an eye-opener. Elvis is very positive throughout the book. I am always inspired by people who can see both sides of a story or situation. Elvis rarely dumps on anyone and if he does, it is veiled - you need to read between the lines to find it. 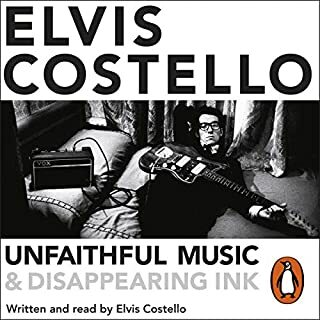 People who are like that are always compelling to listen to - they bring out the best in others. .
What does Elvis Costello bring to the story that you wouldn’t experience if you had only read the book? It was interesting to have Sean Penn read Dylan's Chronicles because he sounded like a younger Dylan. But Elvis takes it to a much higher level - the author, the musician, the poet doing his own 'readings' - very impressive and very moving at times. Often the demarcation between readings of his lyrics and the prose of the book were hard to spot, such was the power of his writing. Who has the time? I listened to it in the car and I regret that because I wanted to bookmark so many bits that I'll now buy the book. With a 'Rock&Roll' autobiography you expect a good yarn and little erudition. Dylan gave us a 'masterpiece' but was it really just a good yarn? Elvis gives us both with style and discusses lyrics openly, including acknowledgment of his lyrical and melodic inspirations. He kept notes, he immersed himself in his profession and worked hard and toured extensively. Is this the secret of success? Well, it also helps to have talent - a great voice - which is understated in the book. His rendition of Gloomy Sunday is a case in point. An entertainer, poet, lyricist, composer, writer.....not just a song and dance man. The story of human evolution, the different pathways of different species and how that relates to what we are now is one story in this book and it prepares the reader for what comes next - the q.e.d, the bottom line. 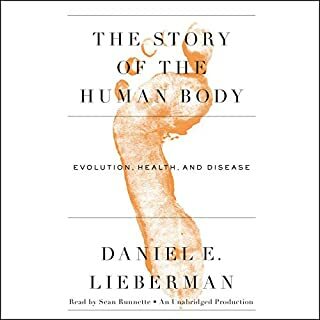 You see the author connects all that with the state of our health today, disease by disease and it is simply fascinating. It follows that if most people understood why we get so many chronic diseases they would be more inclined to act to reduce disease. With healthcare costs becoming unsustainable, people must become more accountable for allowing themselves to succumb to some diseases. This book explains why and that knowledge is, for this humble reader, life changing.